HFBF HAPPENINGS – PART 5 – FAMILY TIME! AND MORE. 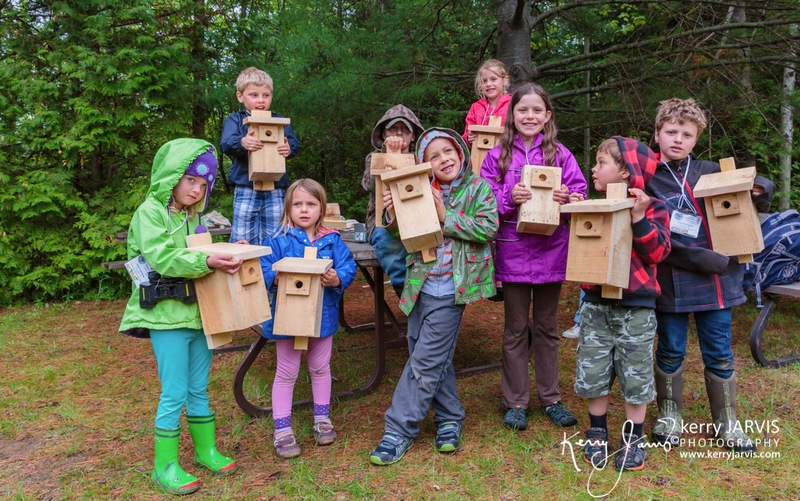 New for 2015 – Parallel to our regular program we offered an new FAMILY WEEKEND PACKAGE that included Bird Banding, Birding 101, Afternoon Outdoor Adventures, Nest Box Building, Pond Exploration, Birds of Prey from Wild Ontario and a Campfire Program…all for the children. And it looks like they’re having a great time! 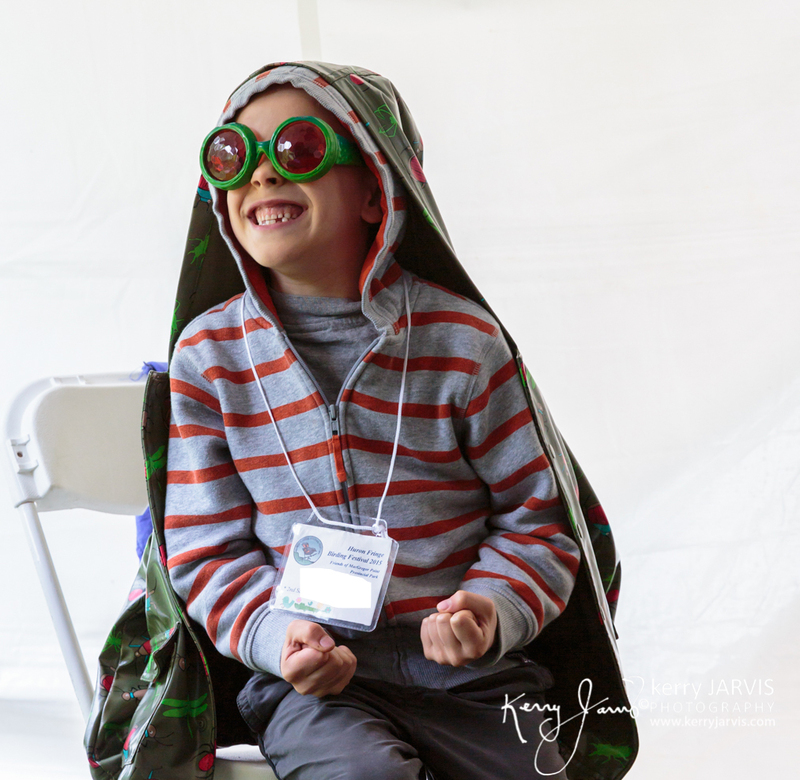 BINO BOY & ELYTRA GIRL – Andalynne & Richard Tofflemire – With Bino Boy’s binocular vision and Elytra Girl’s power of magnifying, the kids use their senses to discover what can be found in nature in an entertaining way! 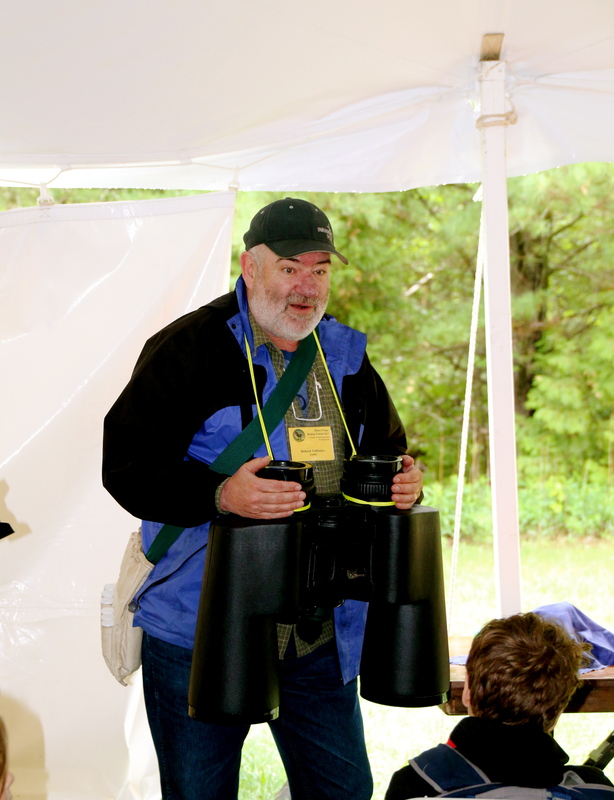 Richard Tofflemire dons his giant binoculars to transform himself into BINO BOY! 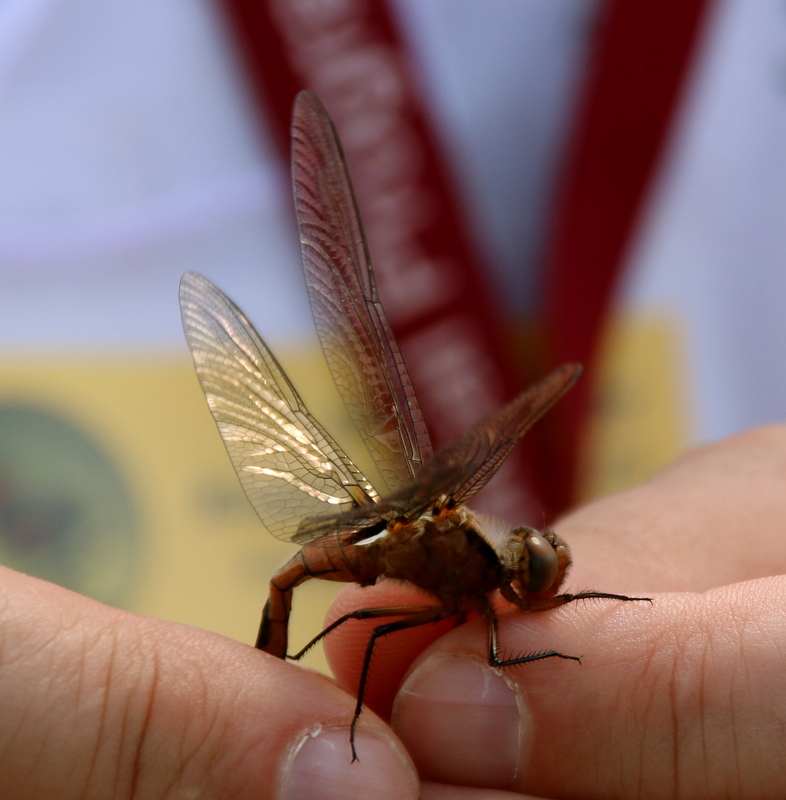 Looking at the world through insect eyes…when he puts on Bino Boy’s special glasses. 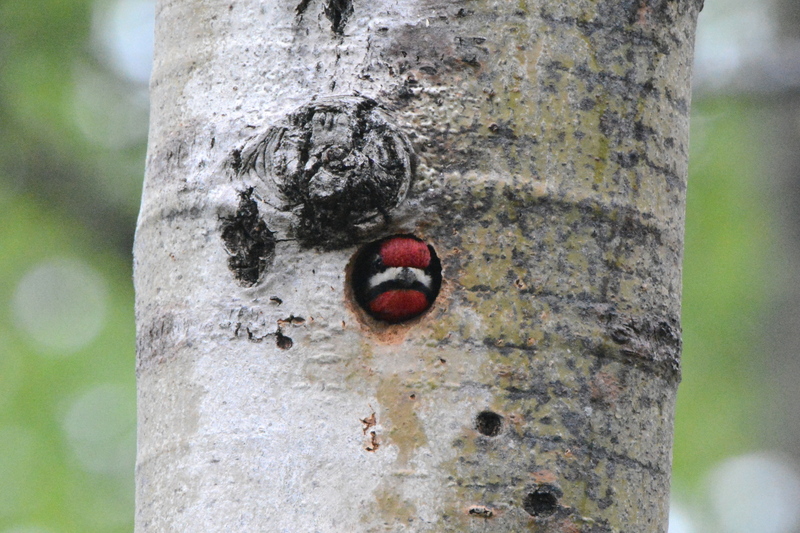 HAPPY CHICKADEE NEST BOXES BUILDERS. No carpentry skills required. 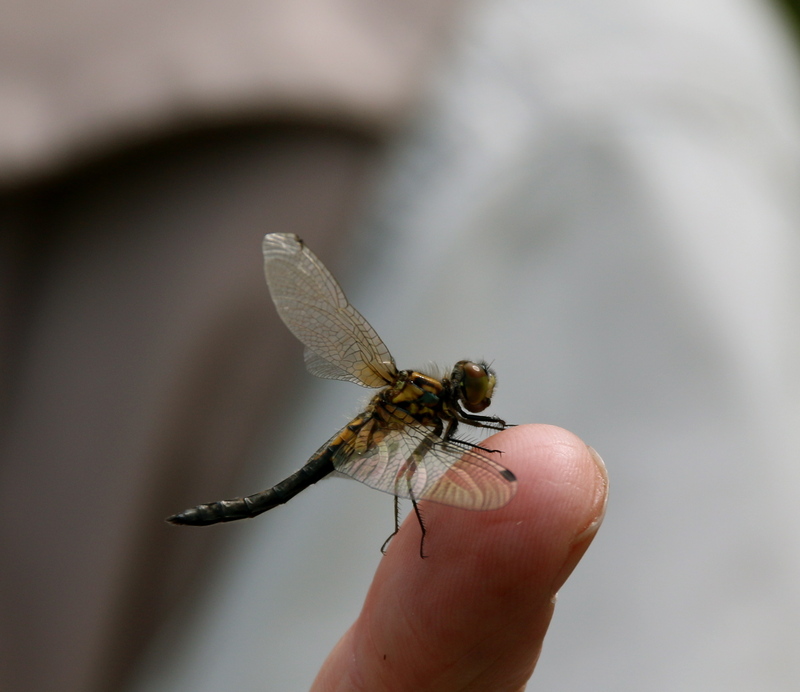 DAVE BREWER SET UP HIS NETS AND SPREAD SOME SEED TO ATTRACT BIRDS FOR HIS NEXT MORNING’S BIRD BANDING DEMONSTRATION. 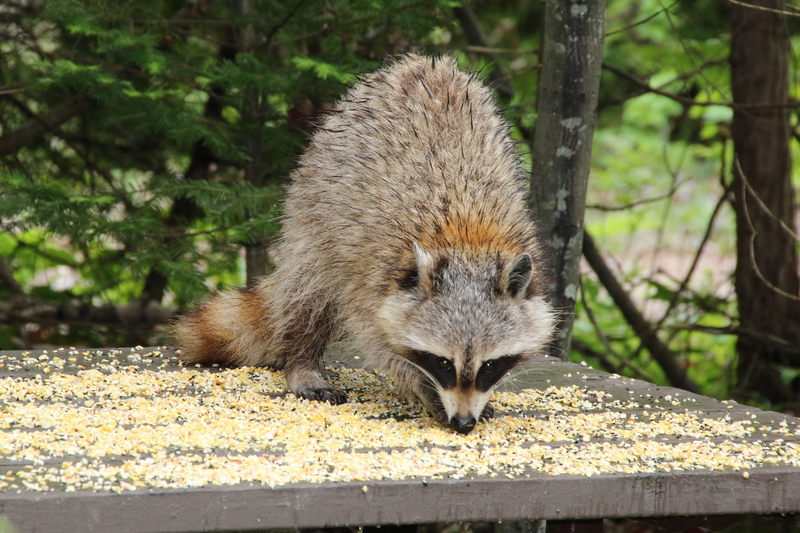 THIS WET AND HUNGRY CREATIVE WAS THE FIRST TO ARRIVE. 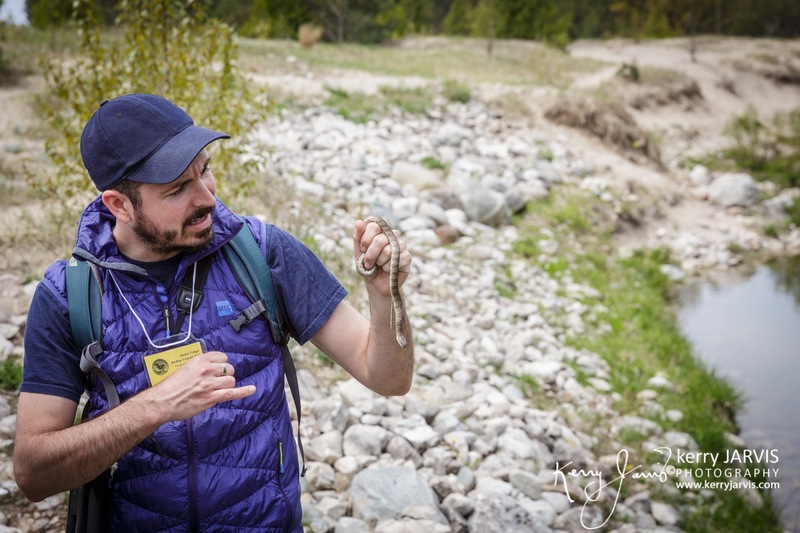 Scott is holding a water snake. 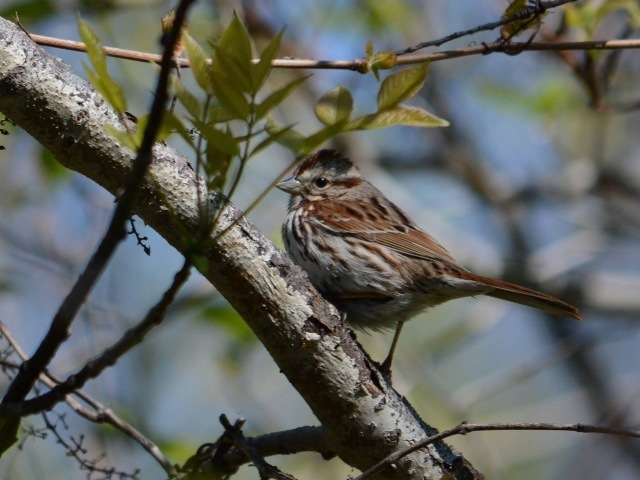 Scott grew up in this area as a boy and is now working with Cornell University Ornithology. 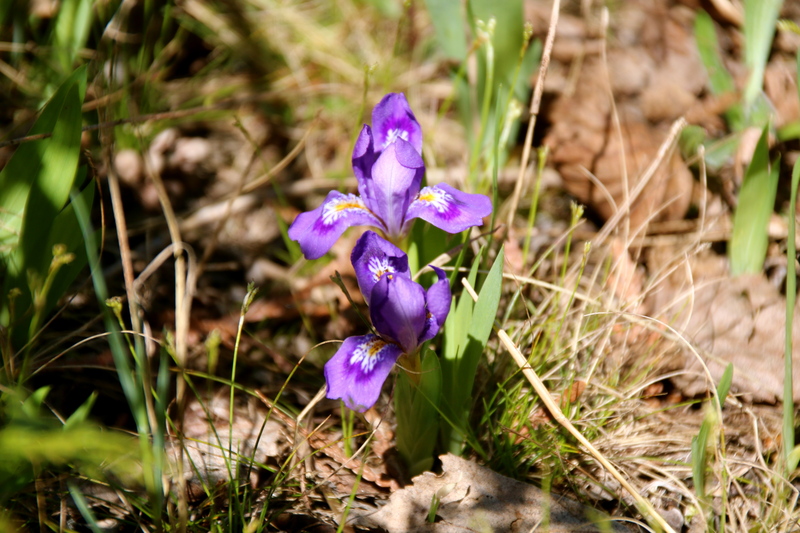 This interesting thing is that his dad, Bob Taylor was on the hike. It was nice to see father and son on an outing. 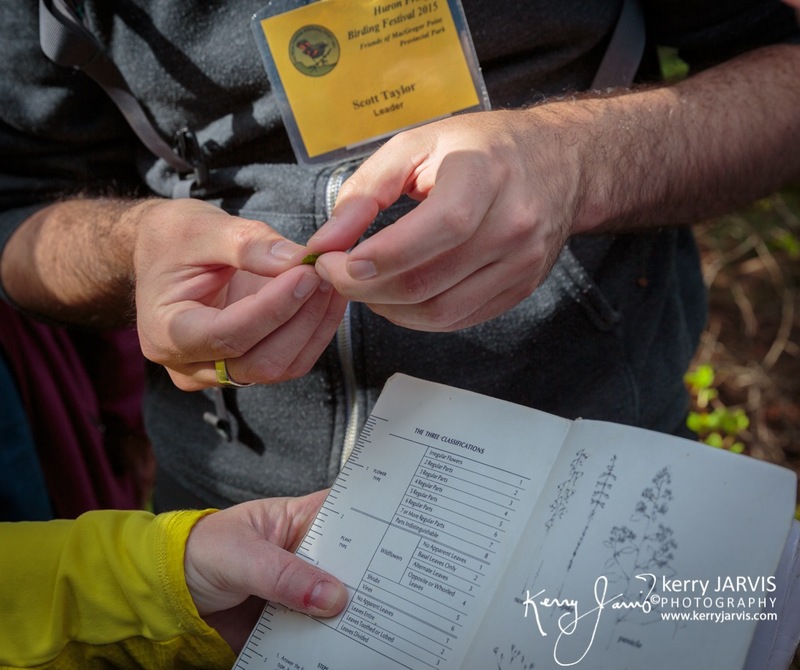 Scott and participants use Newcombe’s book to identify a plant. 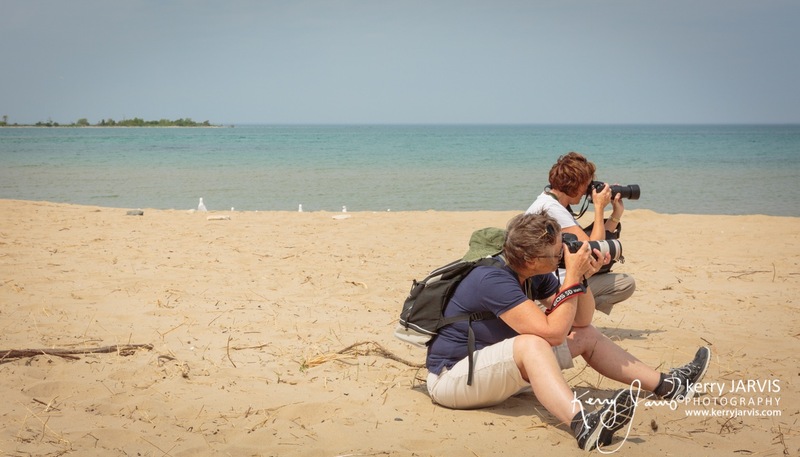 KERRY JARVIS ALSO CONDUCTED TWO PHOTOGRAPHY WORKSHOPS DURING THE FESTIVAL. HERE ARE SOME PICTURES OF HIS PARTICIPANTS PRACTICING THIER NEWLY LEARNED TIPS AND TECHNIQUES IN THE FIELD. 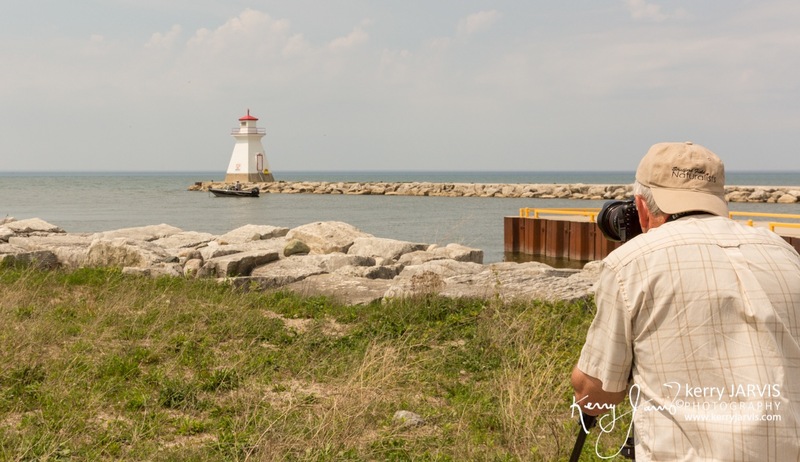 “Landscape Photography” is a new photo workshop where we made 7 stops from the park to Southampton exploring and photographing the theme of water, nature and man’s intervention with nature. 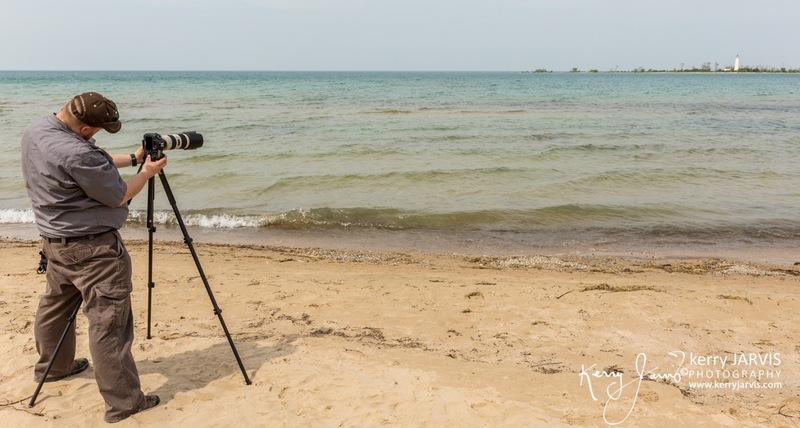 Photographing the MacGregor Point shoreline was a new photo workshop at this year’s festival led by Kerry Jarvis. 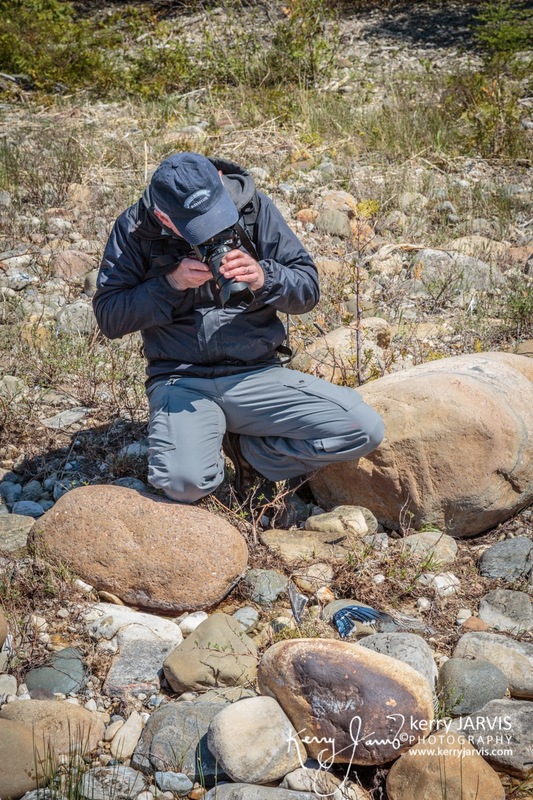 Participants had an opportunity to photograph the unique, rugged shoreline. “You really don’t need to travel the world to see beauty, its all here at MacGregor,” explained one enthusiastic photographer. 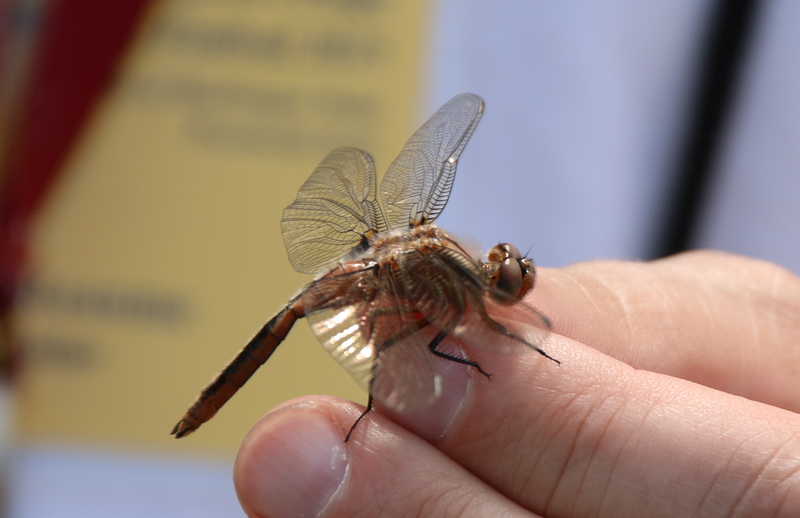 It was a hot and humid afternoon at the DU Pond Friday…perfect weather for Dragon hunting. 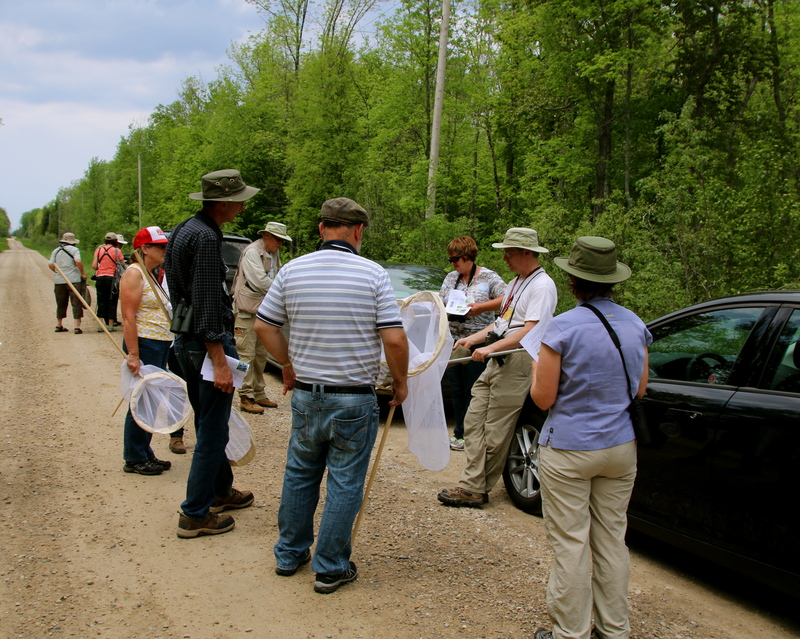 John Reaume showed us how to capture and identify some of the 171 or so species that have been recorded in Ontario. 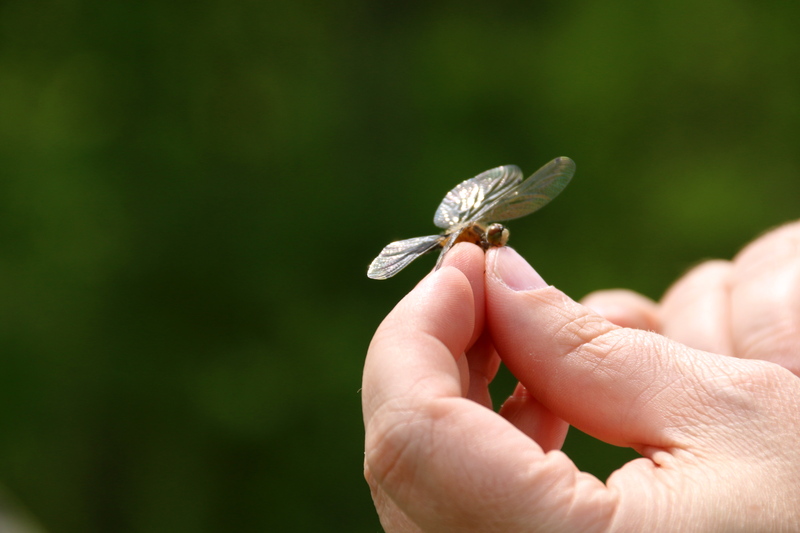 There are 77 confirmed species in Grey County and 87 confirmed species in Bruce County. At the end of the day I, personally, still couldn’t tell the difference between Dragons and Damsels – or – ever remember how to tell them apart. 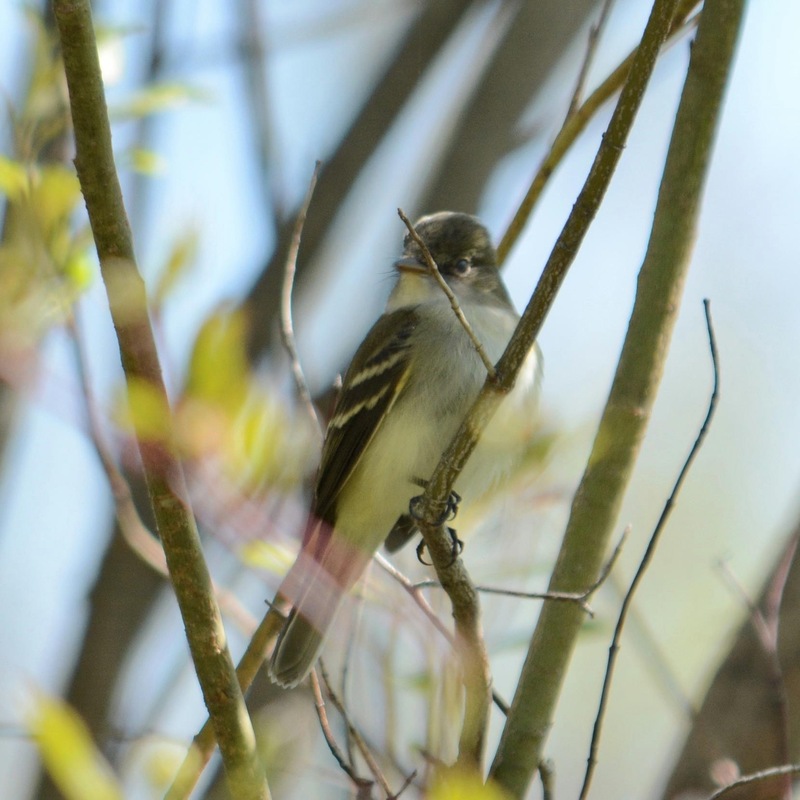 But I got some great shots – so, you see, the HFBF is not just about birds. 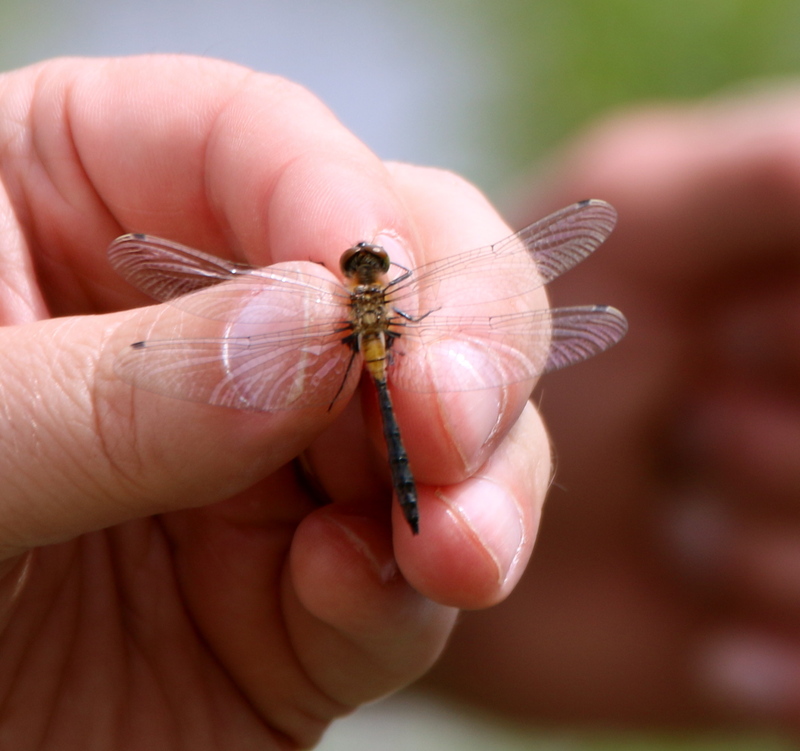 These amazing predators have wings too. John Reaume explains netting technique…its didn’t take us long to start capturing these speedy creatures. 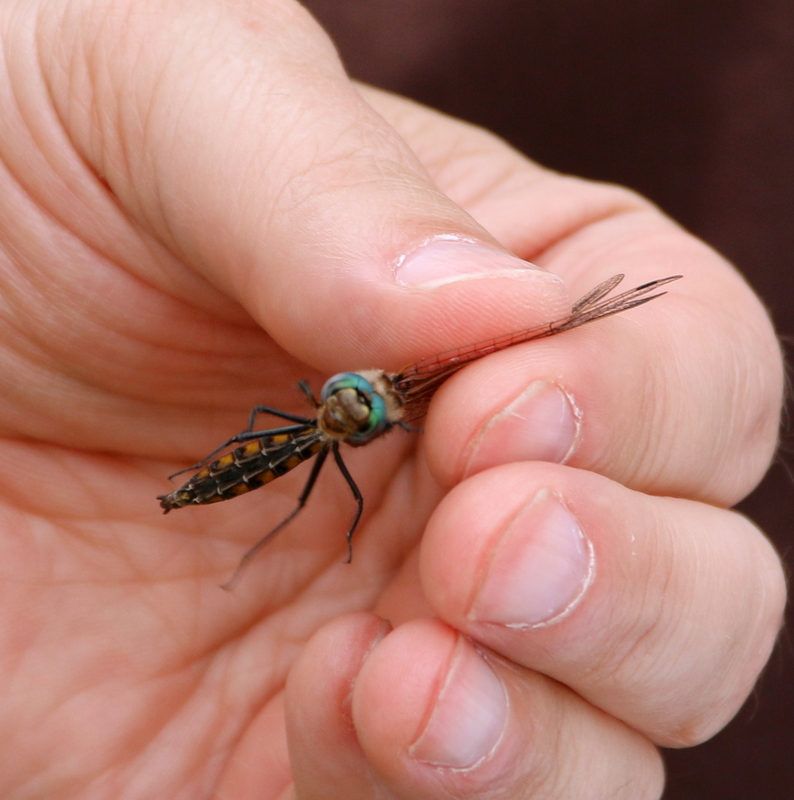 Getting up close and personal… They do bite…but you won’t feel it unless you’re another insect. 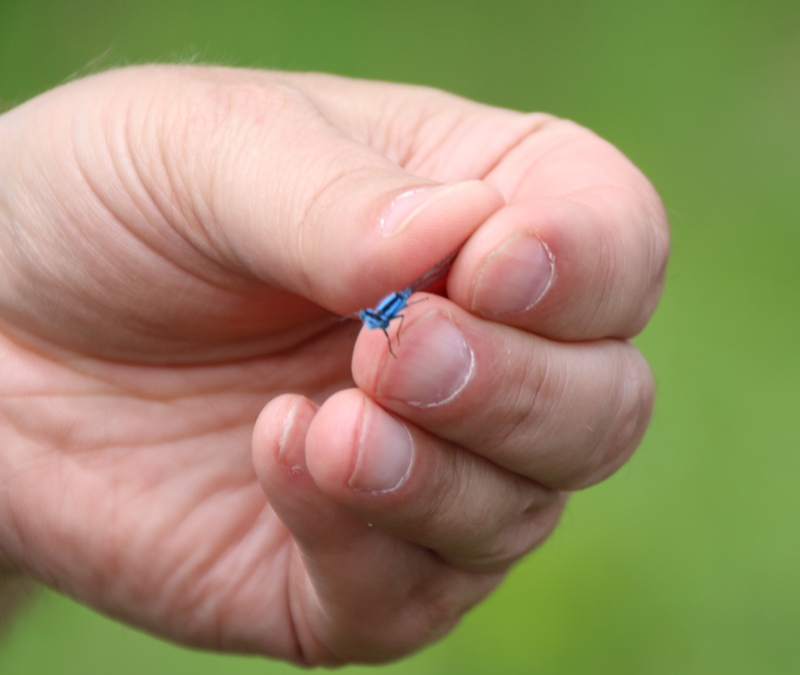 This, I believe, is a “Northern Bluet” Damselfly,…but I could be wrong. 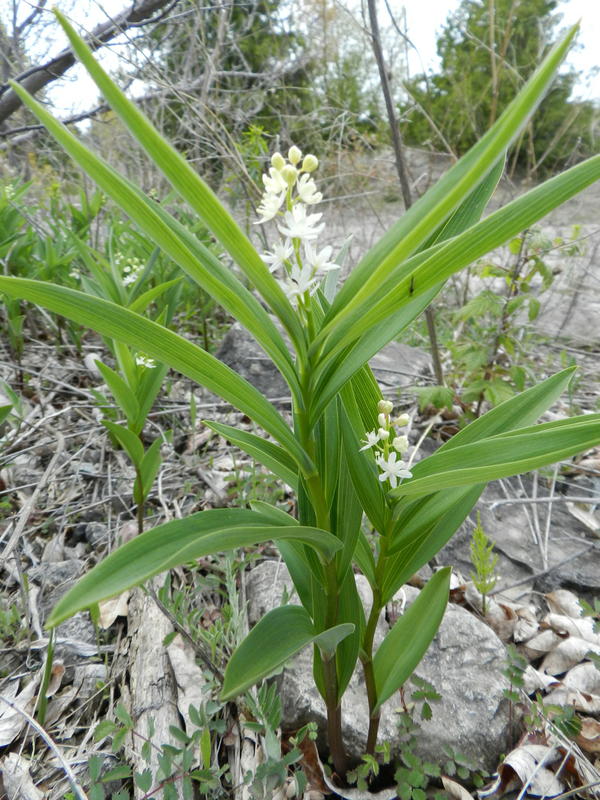 Jim Punnett sent in these pictures and brief synopsis of the hike with Rod Steinacher. 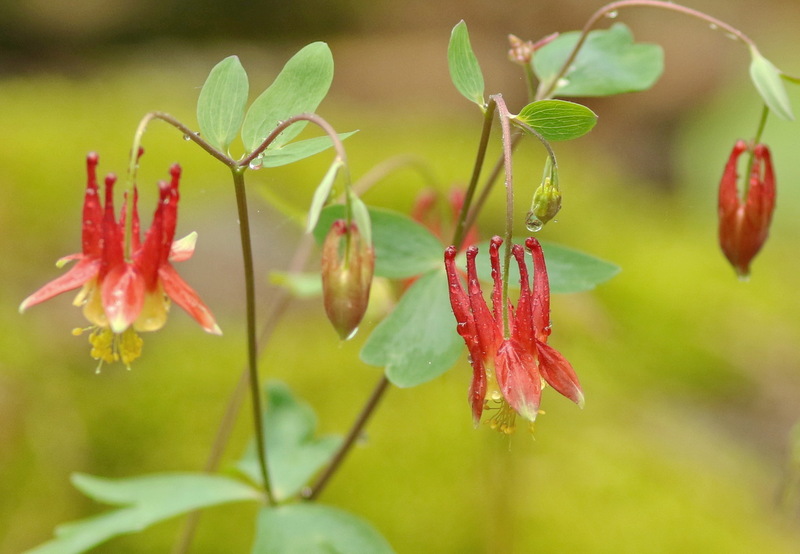 WILD COLUMBINE – SOMEWHERE ONE THE ROAD. 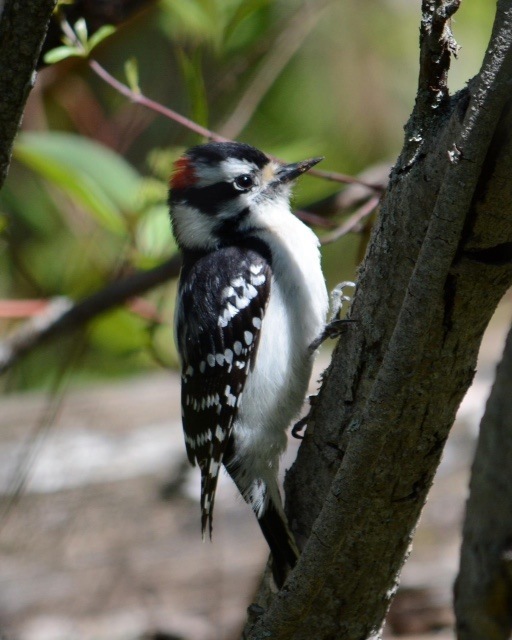 And one of our young attendees sent in this invitation to all registrants of the Huron Fringe Birding Festival. 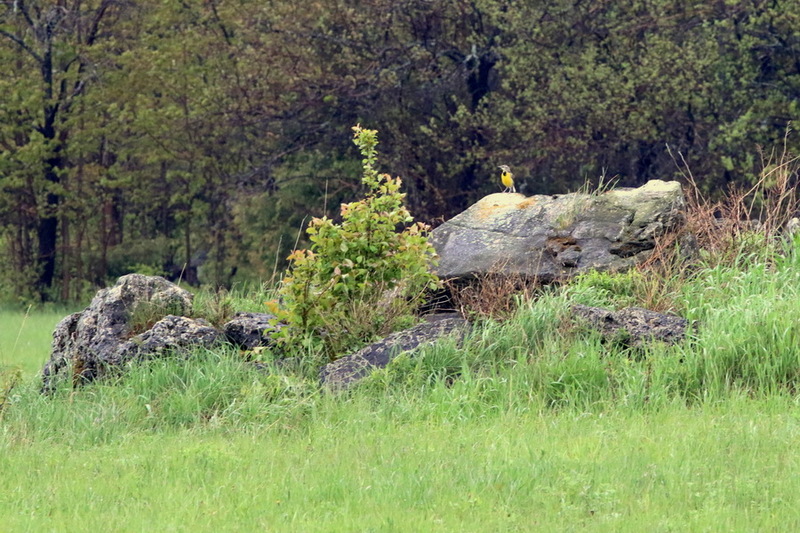 Nice to see young folks developing a passion for birding. Could be a future HFBF leader in the making. Me and my grandpa where at the festival this past weekend. Here is the link to my website: www.jacobspics.weebly.com. 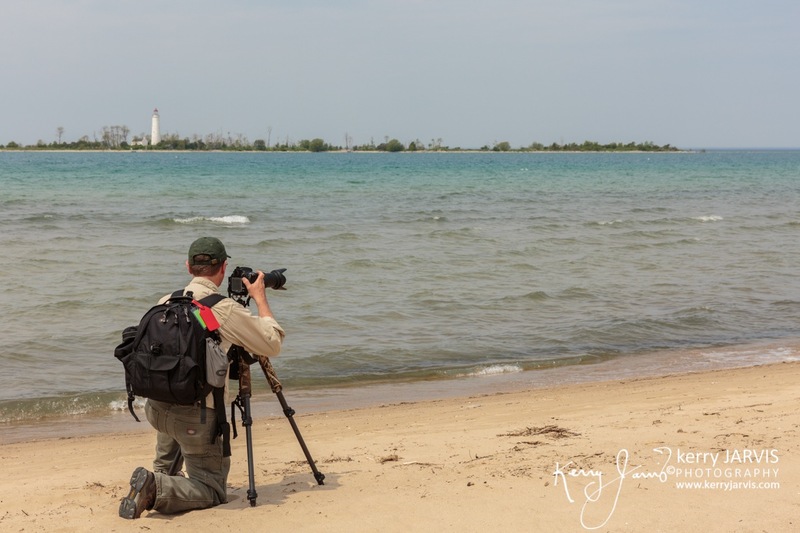 I have uploaded all of my pictures (Macgregor Point > Huron Fringe Birding Festival 2015) I took of birds, reptiles/amphibians, mammals, and butterflies. Feel free to use any of these pictures for the park use or another use. 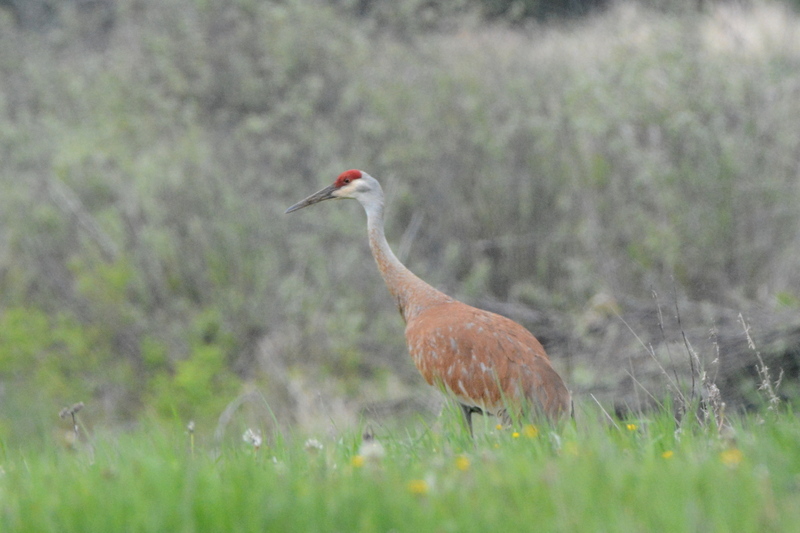 And Bob Taylor (out birding “Hotspots of the Lower Bruce” with Alfred Raab) sent us his shot of a Sandhill Crane and his Yellow-bellied Sapsucker. 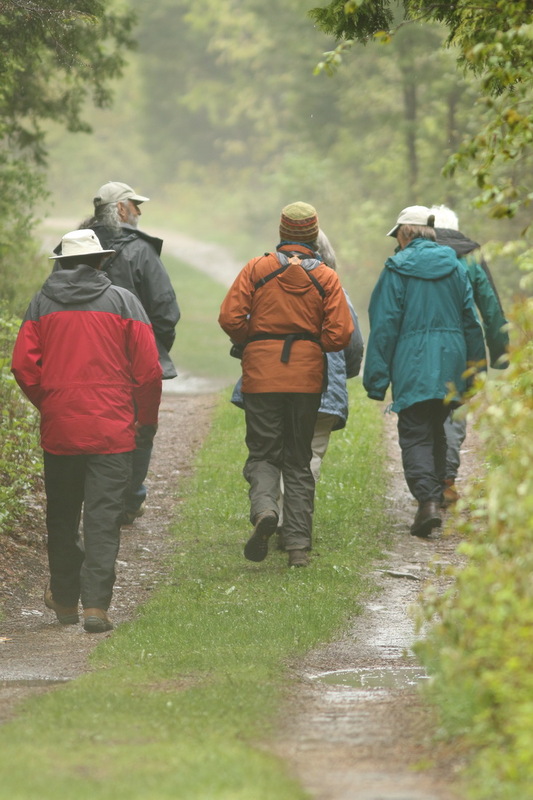 IF YOU’RE OUT AND ABOUT ON ANY OF THE HFBF HIKES OR IN A WORKSHOP AND HAVE A STORY, PICTURES, THOUGHTS OR WHATEVER, YOU WANT TO SHARE – PLEASE – FEEL FREE TO SUBMIT THEM TO: nanni_4@sympatico.ca – AND WE’LL GET THEM UP ON THIS, YOUR BLOG. THANKS. 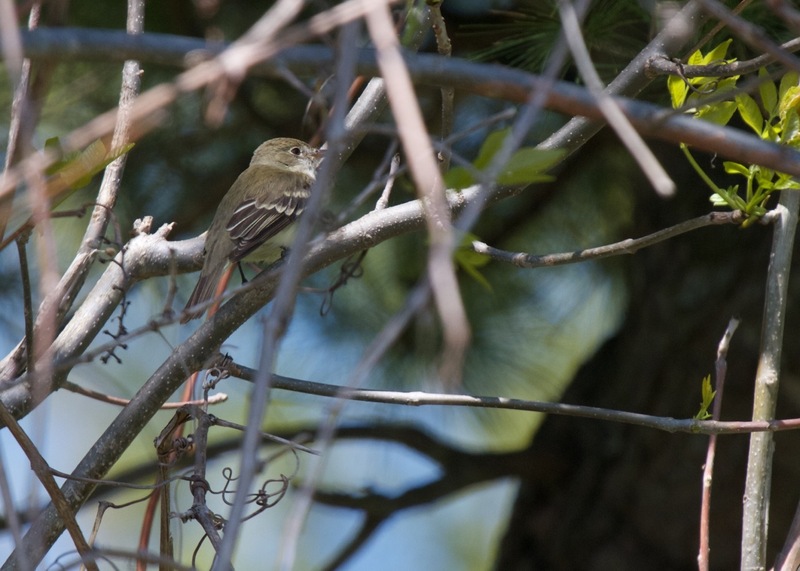 HFBF HAPPENINGS – PART TWO – BIRDS AND OTHER THINGS. 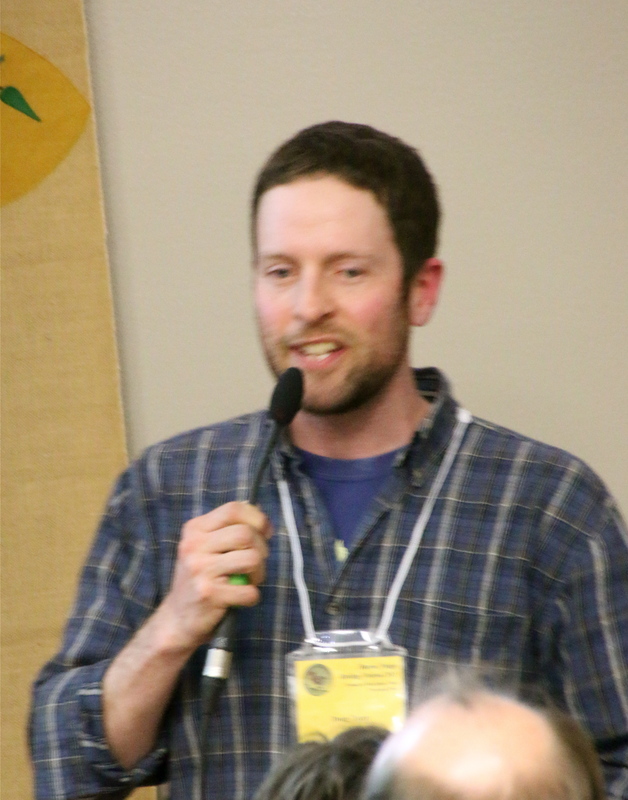 Bill O’Keefe explains why the apples at the O’Keefe Grange are so special. 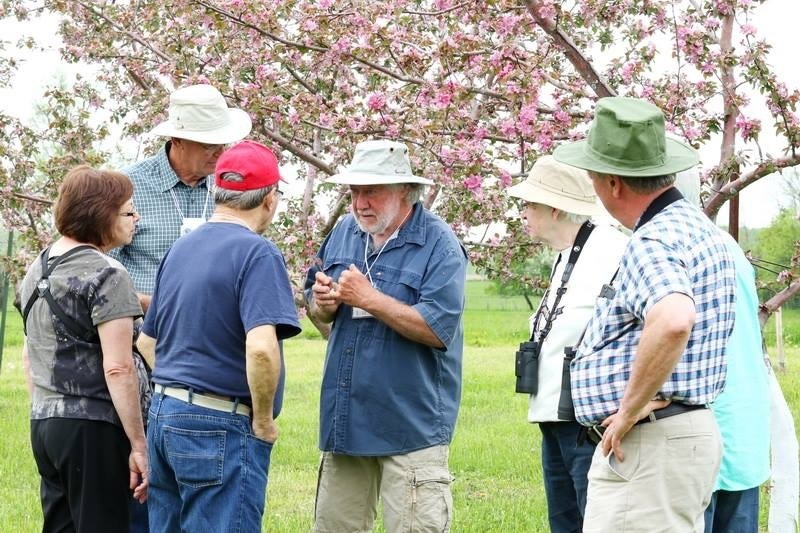 After years of collecting and growing over 200 varieties of apples and pears trees, he has a lot to talk about. And the blossoms behind him testify to another great year. 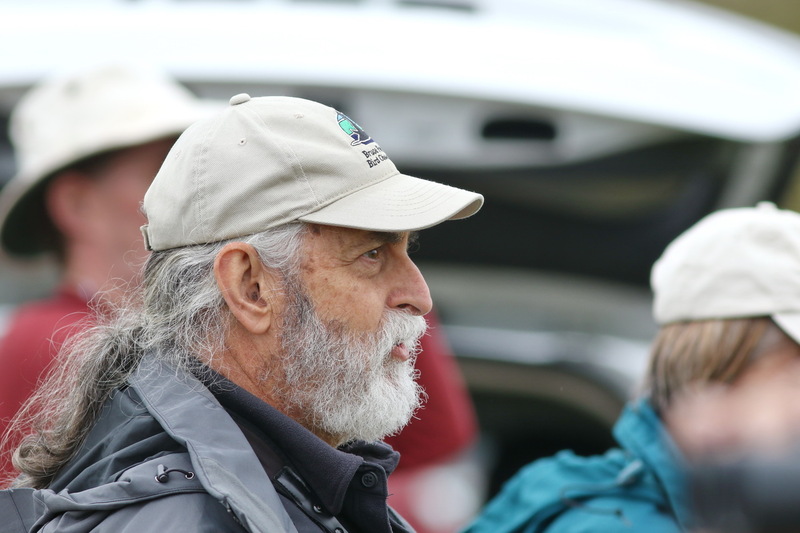 We opened our day at with Alfred Raab at Sauble where the Piping Plovers are. A Merlin flew within feet of us, made an abrupt turn and picked up a brown small bird right off the ground and began eating it on a near by post in full view. He ate the bird in minutes. 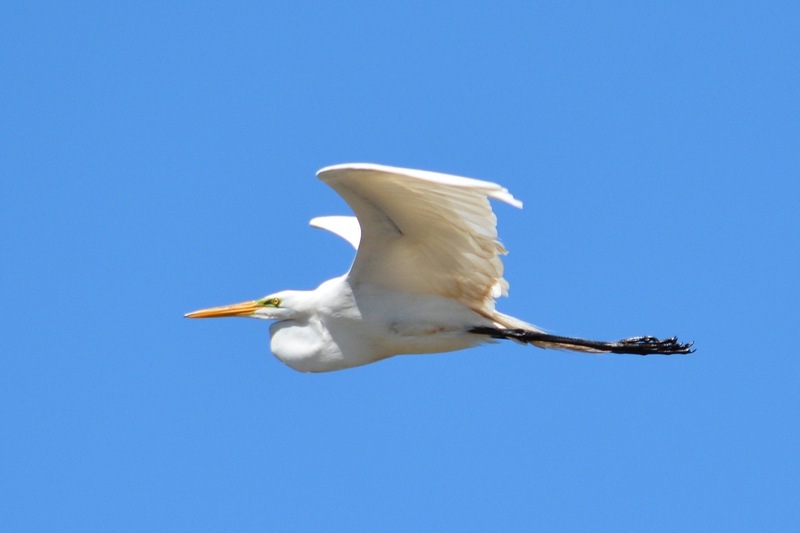 The agility and speed of this bird was amazing as it plucked the bird from the ground. The bird didn’t have a chance. 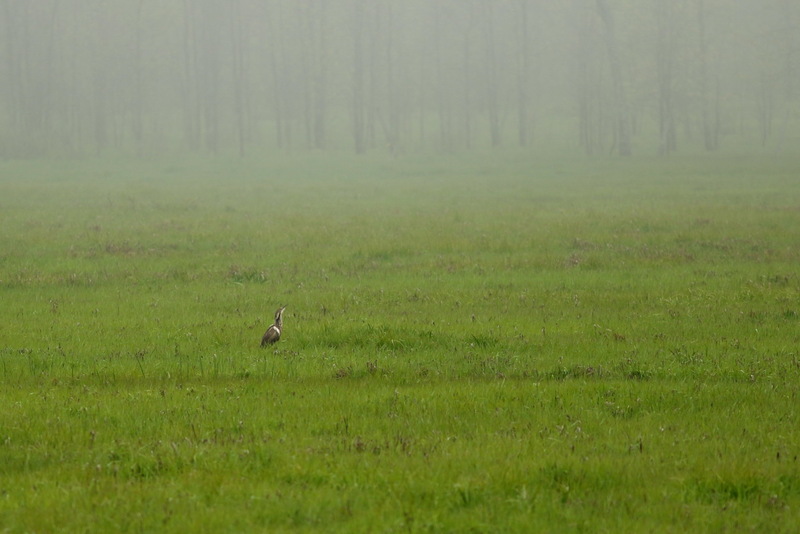 The Merlin was not intimidated by our presence. 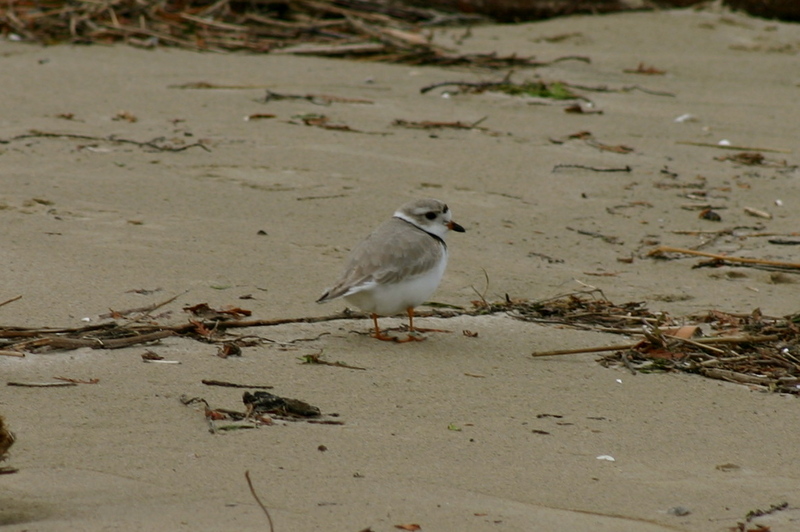 This is worrying news as the brown bird was taken about 100 feet from the Piping Plover cage. Thanks for the great day, Alfred. 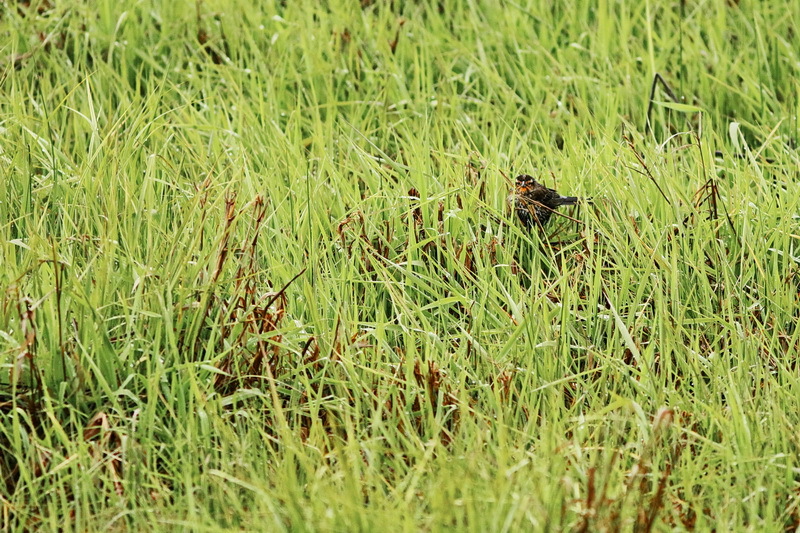 We saw 81 species of birds on an all day hike with Alfred starting at 6:00 AM. We started at Sauble and finished at Sky Lake. The Bruce Re-Beckons with Willy Waterton and Audrey Armstrong. 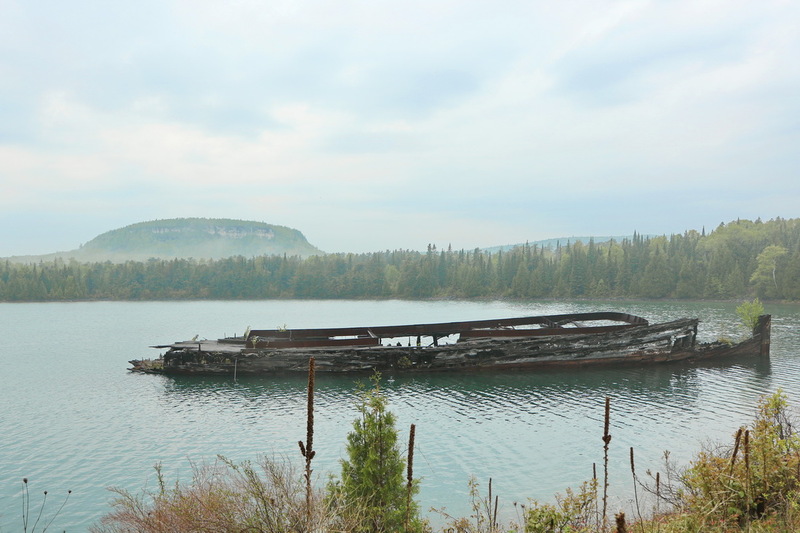 Willy took us on a tour rediscovering the Peninsula based on the 1952 book The Bruce Beckons by Sherwood Fox. While we covered many sites of historical interest, this gem stood out. 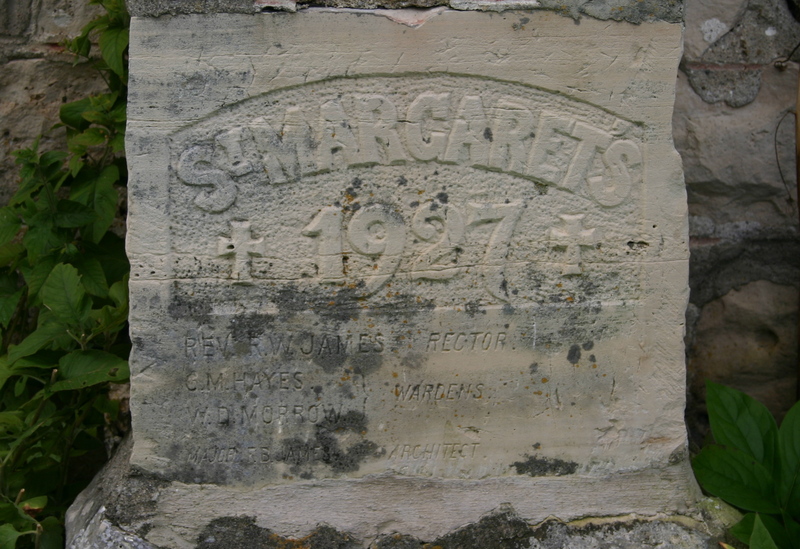 Heading up the 40 Hills Road we stopped at St. Margaret’s Chapel. 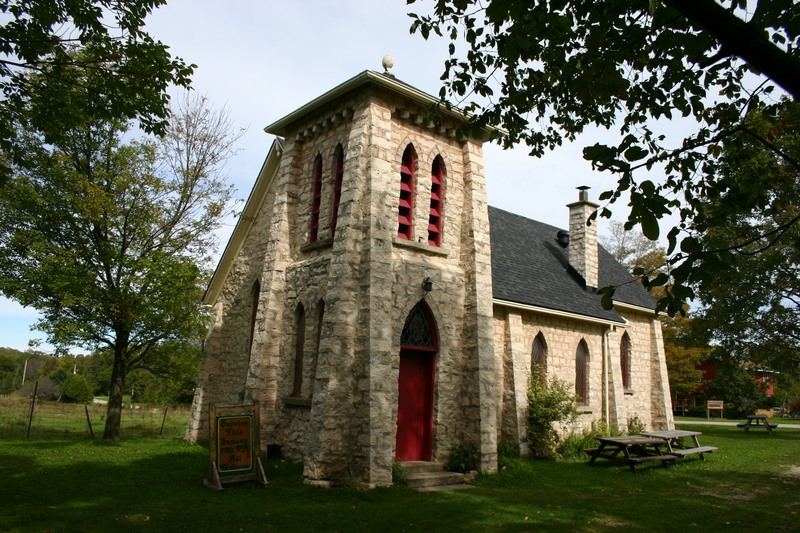 It’s a beautiful little church, “built of the stones of its own hills and valleys,” in true turn of the century Anglican tradition.The dolomite limestone blocks are cut large and thick giving the small building a stance that says it will stand for ages. 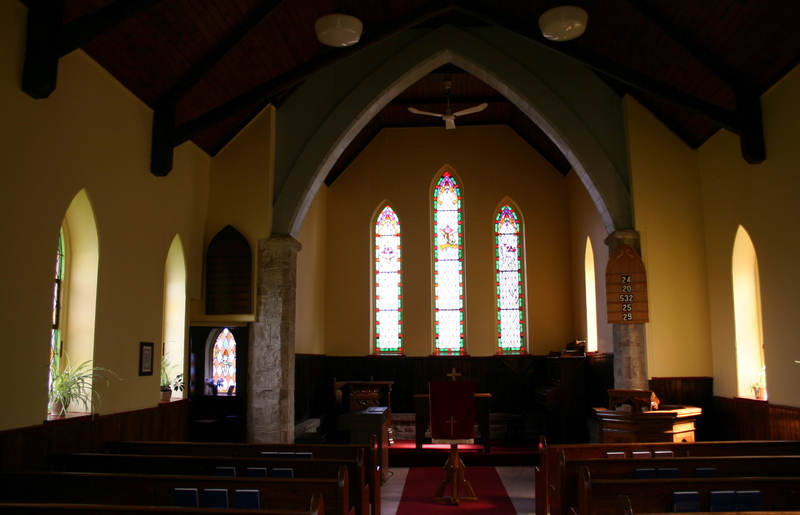 The interior is finished in dark timber with oak pews. 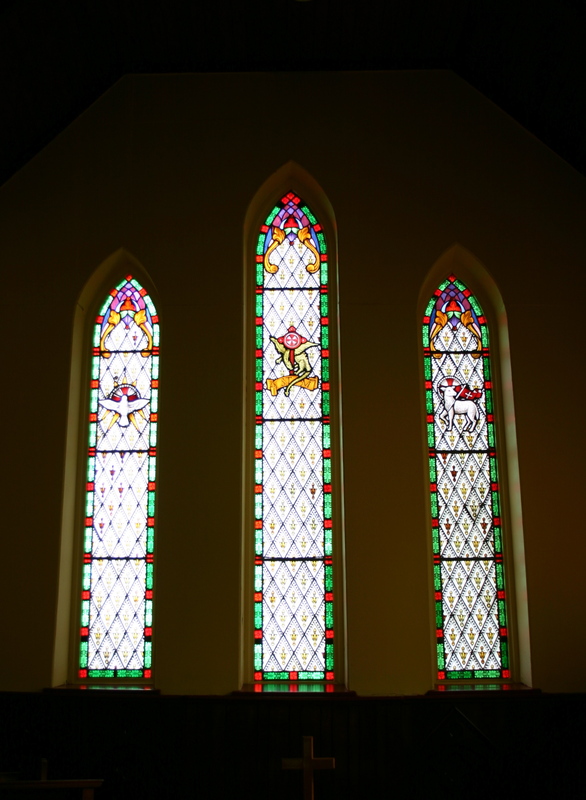 The stain class windows, some with a local wildflower motif, glimmer in the dim interior as the light seeps through. A guest book revealed pages and pages of visitors from all parts of the globe. 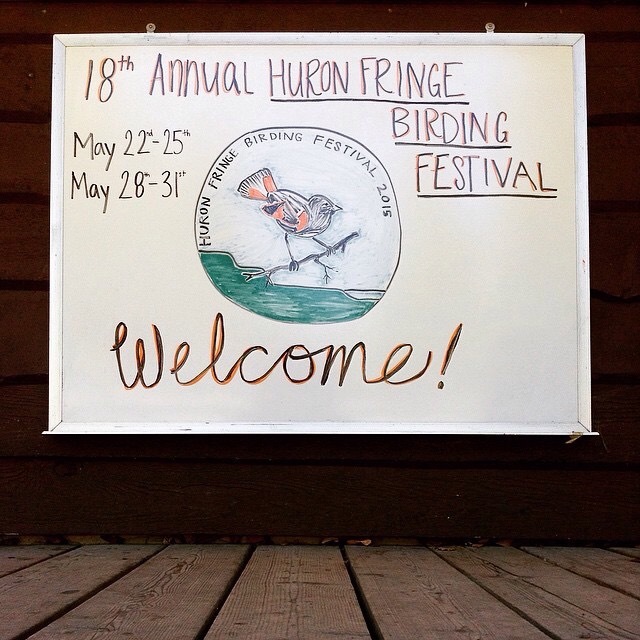 THERE WILL ME MORE HFBF HAPPENINGS AS THEY HAPPEN AS THE SECOND HURON FRINGE LONG WEEKEND IS ABOUT TO BEGIN. KEEP US LOGGED IN. 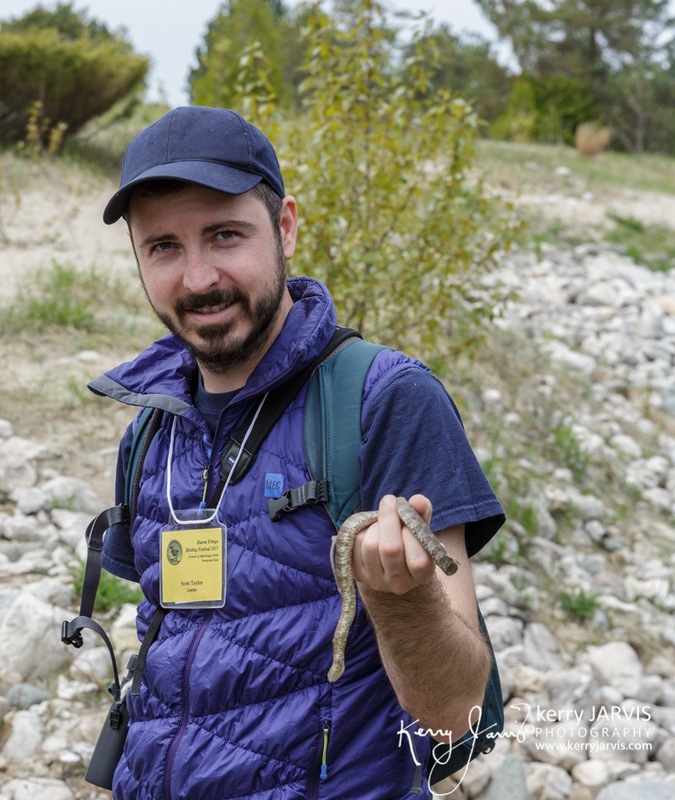 Two highlights from the annual Huron Fringe Birding Festival Banquet that took place at the new St. Paul’s Anglican Church Hall in Southampton. 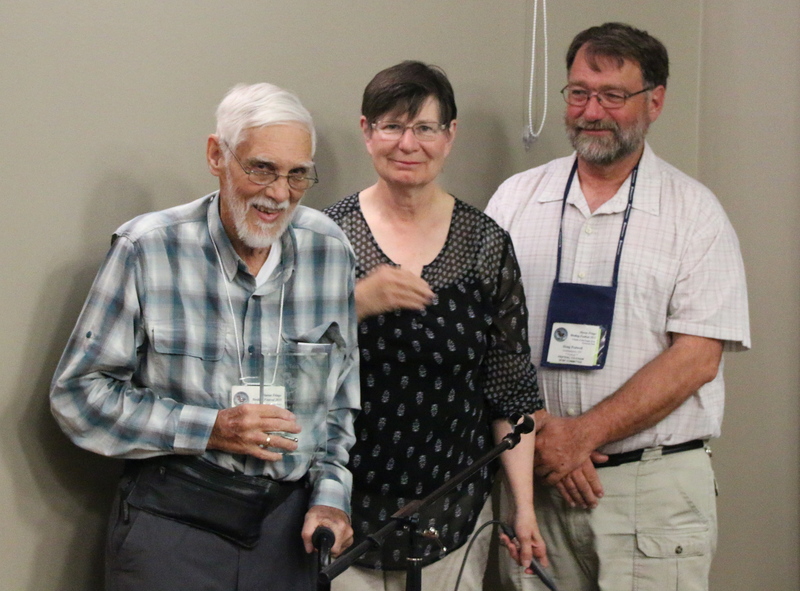 Mick Pickup – noted local birder and author is presented with the HFBF Norah Toth Award by Co-Chairs Norah Toth and Doug Pedwell. Vicky and Mike share a together moment after the presentation. 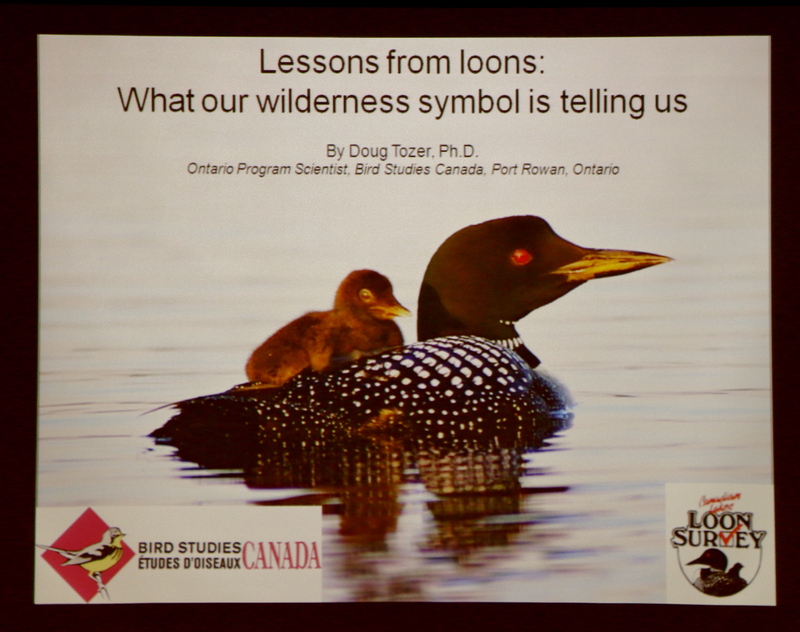 presented an informative and entertaining presentation about our most iconic wilderness bird. And yes, HFBF is definitely in the news as local papers are going with our unique local story in newspapers and the internet. 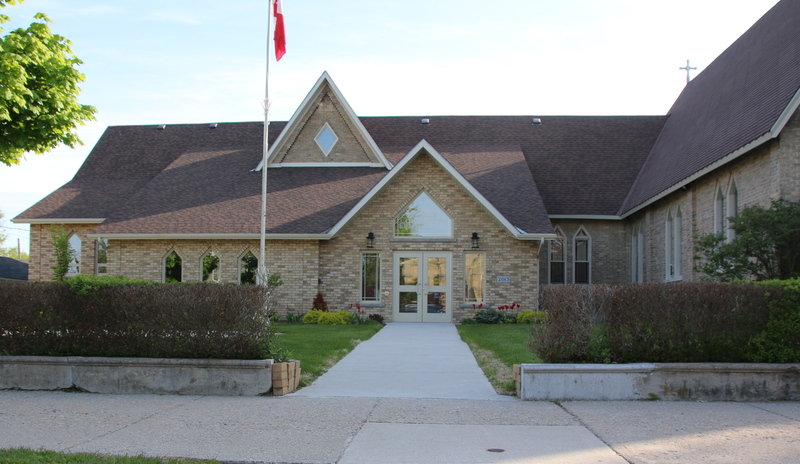 All of which makes us and all our participants feel most welcome in Saugeen Shores. 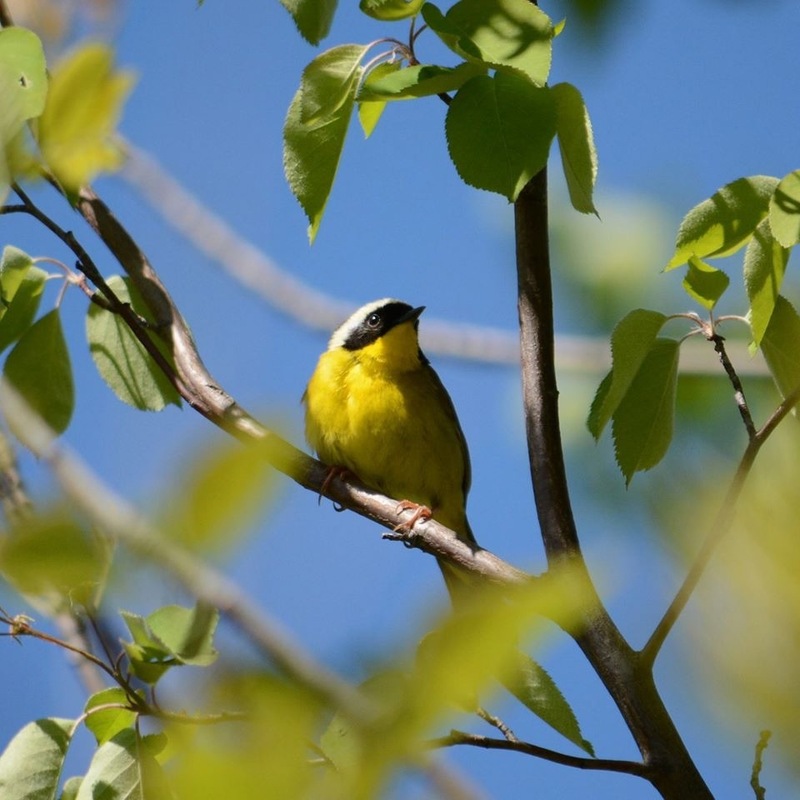 The Huron Fringe Birding Festival is ON! 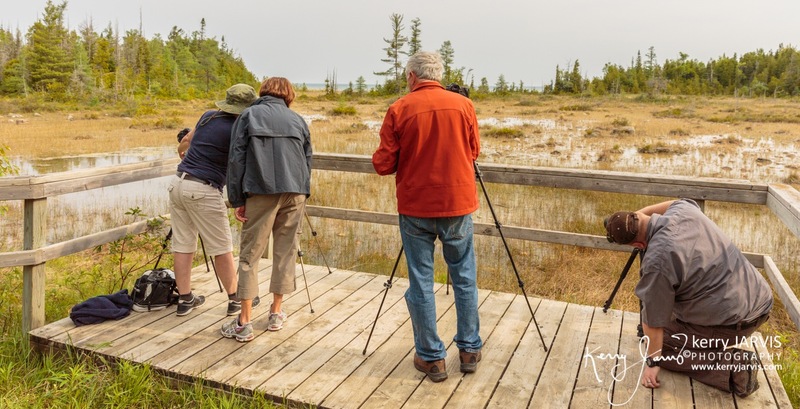 And it looks like it will be two great weekends of birding, hiking, photography, workshops and outdoor lovers getting together for good times. Our attendance is up. 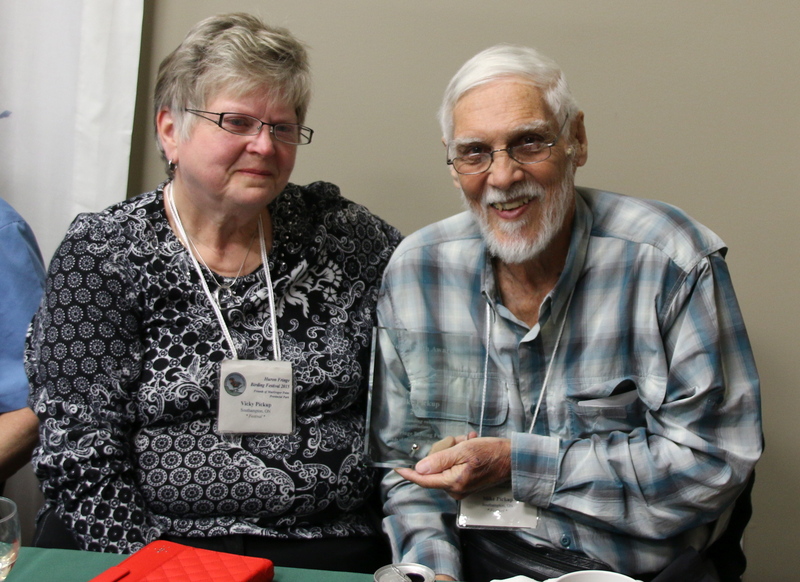 First time Huron Fringe attendees are at a record high. Our first time Family Weekend is set to go. So thank you to all for joining us. Enjoy. 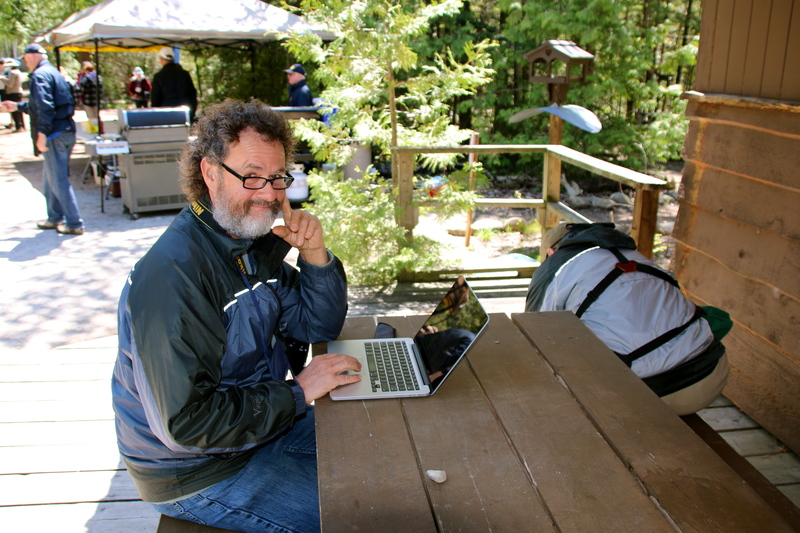 Our Facebook Editor Bruce Edmunds is busy updating the Festival Bird List, but not too busy to get some shots of his own. Have a look. If you have shots from your days at the Festival, please send them along…we will happily post them on this blog or Facebook for all to see. 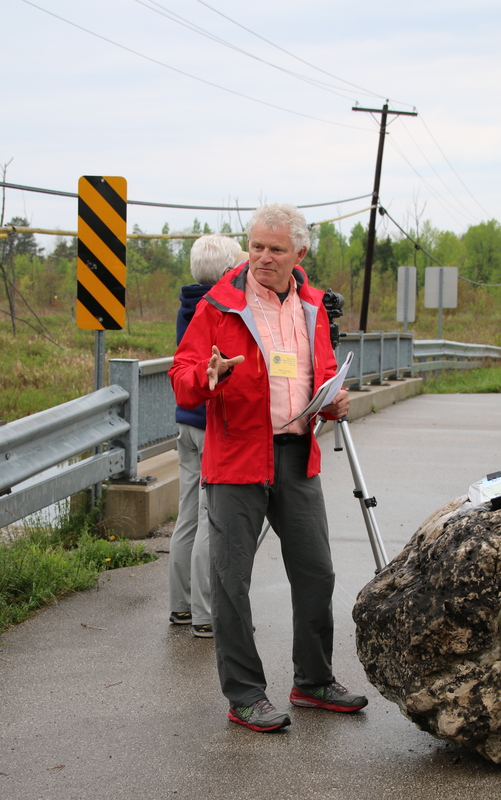 Bruce Edmunds on the job outside the Visitor’s Centre…look for his Festival Updates on our Facebook Page. 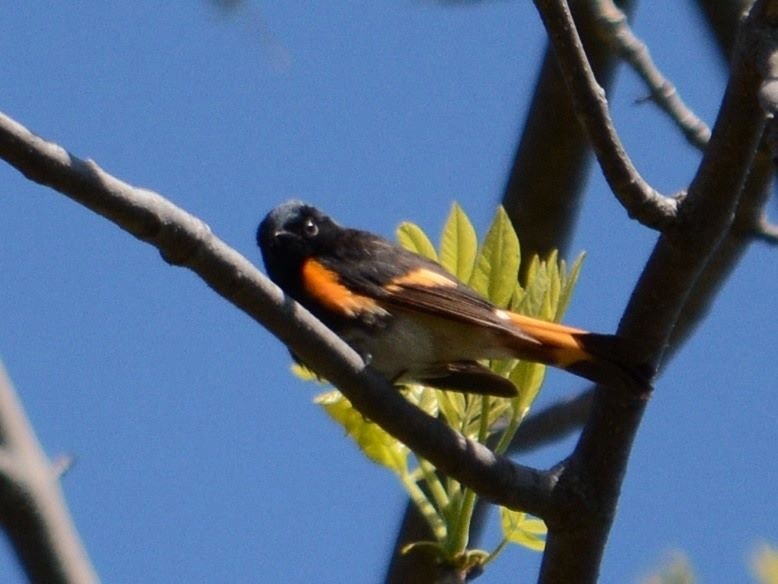 American Redstart. Official mascot of HFBF. Bruce Edmunds. Ducks Unlimited Pond. 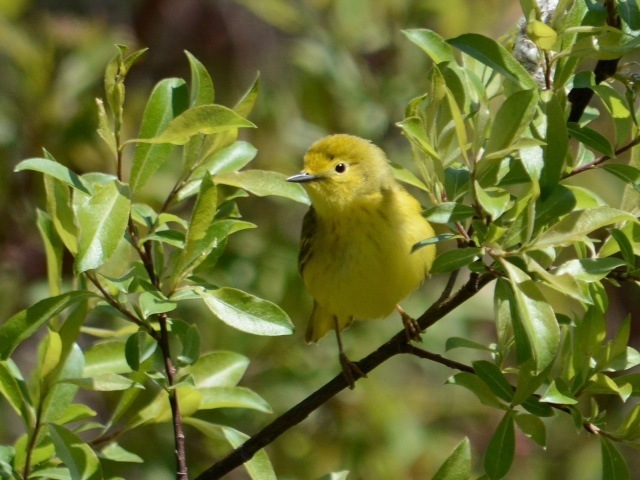 Yellow Warbler. Bruce Edmunds. Ducks Unlimited Pond. 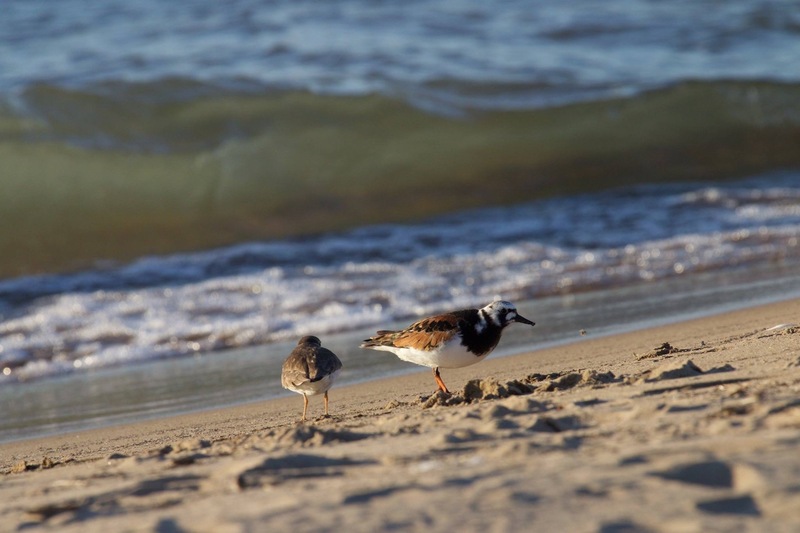 Great news for Plover Lovers…Stewart Nutt, via Mike Pickup, reports two more found last night and this Ruddy Turnstone.